There are numerous horror games out there to play on PC. From the dark grungy sci-fi horror, SOMA to the bizarre psychological adventure that is Year Walk. However, none have become as iconic as Resident Evil, a horror game series that premiered with the first game in 1996 and since then, it has developed as a series that is going into its seventh game. Numerous spinoffs and films were developed as the series’ popularity grew, with Resident Evil: The Final Chapter, set to hit theatres on December 23rd 2016 in Japan and January 27th 2017 in North America. 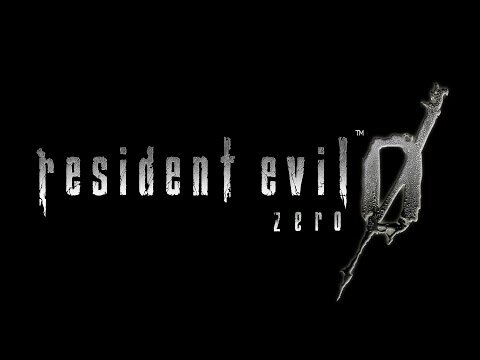 So while you’re waiting to see the newest Resident Evil Film or you can’t get enough out of the Resident Evil 7 Demo, here is the top 7 Resident Evil games to play in 2016 to get the best out of the iconic zombie horror series. The original Resident Evil, for all its goofy voice acting, pre-rendered backgrounds and strange plot, was quite popular among gamers. It is about a team of Special Forces who must investigate a series of strange murders that have been occurring at the outskirts of Raccoon City. During their investigation, they are forced to retreat into a mansion as they are attacked by a pack of bloodthirsty dogs. Their new shelter offers little relief as the mansion holds grizzly horrors that await the team as they investigate the mansion, looking for clues that may hint at what is going on in the area. Selling over 69 million copies, the original Resident Evil game was praised for the challenging puzzles and excellent pacing which works to make the game terrifying, despite some of the silliness in the game. Of course, with the way graphics have advanced with modern day gaming, it is clear that graphically, Resident Evil does not hold up very well. Thankfully, fans of the series can rejoice as the game has been remade from the ground up. 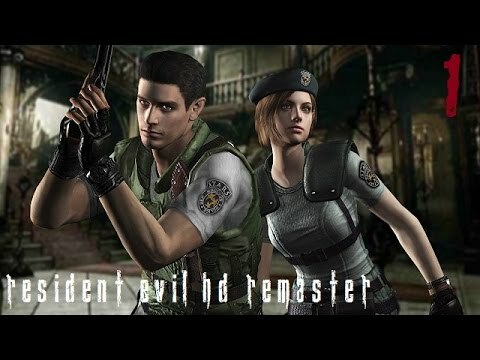 So now you can play through the original Resident Evil with excellently updated graphics and animations, allowing you to immerse yourself in the horror with more detailed graphics, resolution upgrades, a variety of post-processing effects that were difficult to do in the original game along with animated 3D models. The game also allows for you to immerse yourself further into the game with its support for Widescreen (16:9). There have also been a number of changes to the overall gameplay, with new enemies, an expansion to the original mansion, new weapons along with an unlockable difficulty. 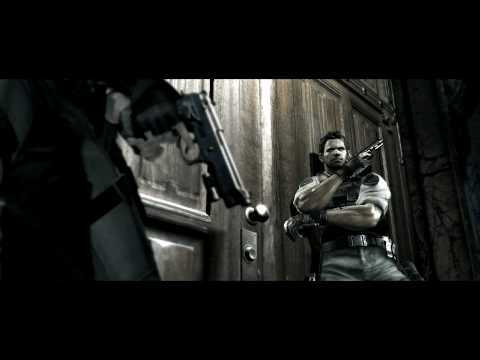 The player has the choice to play as either Chris Redfield or Jill Valentine much like in the original and Resident Evil HD Remaster still retains the same gameplay from the original. However there are a number of changes to the control scheme to make it easier to play. You can either use the same tank controls from the original Resident Evil or you can change to a different control scheme that allows you to move in whatever direction you are pushing the control stick in. Your movements will also remain consistent, regardless of changes in camera angles, as a result your character will only change direction if you release the joystick, making it easier to play the game without your character suddenly changing direction because the camera is facing a new direction that is inconsistent with the direction that you have the thumb stick pressed in. Going back even further, before the story of Resident Evil 1 is Resident Evil 0, a prequel to the original game, which has also received an upgrade in graphics and gameplay. Just like the original, the player takes control of Rebecca Chambers, a rookie cop who was in the Bravo Team that was sent out to investigate the strange murders on the outskirts of Racoon City. As the team were on route, the helicopter that the team was using was forced to make a crash landing due to problems with the engine. The gameplay is the same as Resident Evil 1 Remaster with the option to play with the original control scheme or the alternate control scheme where the character moves in the direction the analogue stick is held in. As the game progresses, Rebecca will meet death row convict and ex-navy lieutenant, Billy Coen. Players will take control of both characters and switch between the two in order to complete puzzles and progress through the game. One major difference between the two games is the addition of Wesker mode, an alternate mode that is unlocked after completing the main storyline. In this unlockable, players take control of the antagonist of the Resident Evil series, Albert Wesker, and use his superhuman abilities in order to get through various missions while playing as him. One game that many fans would enjoy seeing remastered is Resident Evil 3: Nemesis. The third game in the series which takes place before the events of Resident Evil 2, goes back to Jill Valentine while she is in Racoon City as it is being torn apart by the zombie horde. Her main objective is to make her final escape from Racoon City. Players who went through Resident Evil 2 will enjoy this game as they go through a combination of new areas along with other familiar locations from the second game, such as the police station. This game is also similar to Resident Evil 0 as it enables players to take control of different characters. However, the player is not given the option to switch between different characters, but rather the player will change characters during specific story moments. For example, the player will take control of a mercenary named Carlos at times during the game. One of the biggest features of Resident Evil 3 is one of the big antagonists of the game whose name is in the title, “Nemesis”. Nemesis is a super mutant monster who pursues the player at times in the game, usually armed with a powerful weapon like a chaingun or rocket launcher that will decimate the player. As a result, when the player encounters Nemesis, the have a choice, fight him or run away. Interestingly, the game also ensures that each playthrough is unique as solutions for puzzles will change for each playthrough. 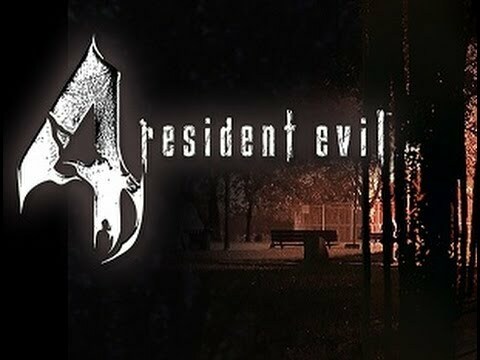 Resident Evil 4 is a major turning point in the series, mainly in terms of gameplay as this game featured the biggest change in gameplay in the Resident Evil series. The main character of this game is Leon Kennedy, the protagonist of Resident Evil 2. This game takes place after the events of the third game as Leon is tasked with rescuing the United States President’s daughter, Ashley Graham. To find her, Leon travels to a village located in the rural parts of Spain, accompanied by two others. Upon arrival, Leon is attacked by the villagers and now must fight through them as he searches for Ashley. Resident Evil 4 features the biggest gameplay change in the Resident Evil series, changing from the standard Tank Controls model with changing camera angles to a gameplay style where the camera stays behind the player’s shoulder. With this over-the-shoulder camera view, the player now has more control over Leon’s aiming, so when players hold the button for aiming, Leon will stop moving and hold his gun up. A laser projected from the gun will aid the player in hitting their target. Leon will also carry a knife as a sidearm that the player can bring up by holding a different button. This game also includes numerous Quick Time Events, where the player must press a button at a specific time or they will either lose a large amount of health or die. These can occur when fighting certain enemies or during scripted events. The enemies that the player will encounter are quite unique in comparison to the other Resident Evil games. Rather than killing mindless slow zombies, the player will now have to fight humans afflicted with a mind-controlling parasite known as Las Plagas. Since these enemies are not standard zombies, they still retain human intelligence and will make use of various weapons on-hand. This can make them very difficult to deal with as a result, especially when certain villagers will use a chainsaw which can kill the player in a single hit. Another gameplay function that has changed is the way the items are organised. With a new inventory system, the size of certain items matters in terms of inventory space. Larger guns will take up multiple boxes in the game’s inventory, while smaller guns or items will take up less inventory space. This means the player must pay attention to managing their inventory space. Thankfully, the player has the option to rotate items in the inventory to make room for more items. Key Items are not a big issue in this area either as they do not take up inventory space. A new feature that has been added to this game is the merchant. As the player goes through the game, they will encounter merchants. These are individuals who will sell you weapons, items and various upgrades for gold, which can be collected from dead enemies or found in different places like boxes, vases and many others. There are numerous unlockables in this game: costumes, weapons, game modes and two extra stories that give the player the opportunity to play as Ada Wong. She was a supporting character in Resident Evil 2 who makes a return in Resident Evil 4. 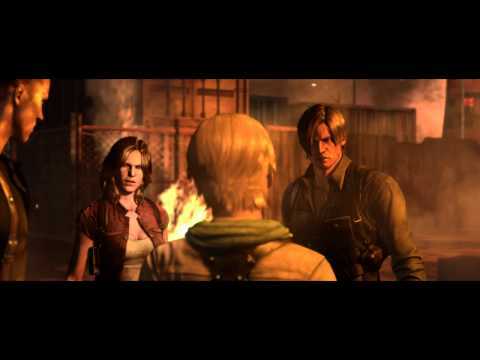 Resident Evil 5 holds onto Resident Evil 4’s control scheme. This game puts the player back in the shoes of Chris Redfield, who has now joined the Bioterrorism Security Assessment Alliance. He is dispatched to Kijuju in Africa. His task is to work with Sheva Alomar in order to apprehend Ricardo Irving before he sells a bio-organic weapon to the Black Market. However, the village that they arrive in later devolves into chaos as a parasite similar to Las Plagas has taken hold, making the villagers aggressive. 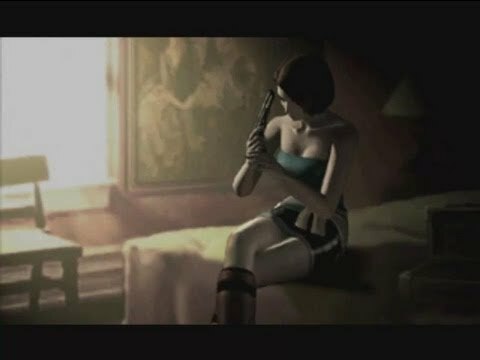 Apart from trying to find Irving, Chris has a personal objective which is to find his former partner, Jill Valentine. He thought she was dead in a confrontation with Albert Wesker. 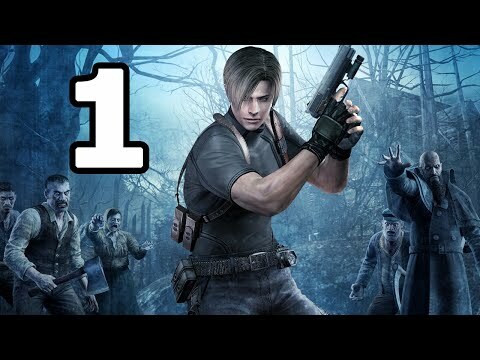 Resident Evil 5’s gameplay is very similar to Resident Evil 4. The game retains the third person view and a similar grid layout for the inventory. Though the player no longer speaks to merchants throughout the game, they can make purchases in the menus that come up after finishing a chapter. One of the biggest changes to this game is the addition of co-op. Unlike Resident Evil 0, Sheva is not merely a character the player can switch with to complete certain puzzles, instead Sheva can either be a computer controlled ally or a second player, allowing for two players to go through the game. Both players will need to work together in order to get through the game and bring the story to its conclusion. Since the game is co-op, the inventory space for both players is limited, so weapons, healing items and ammunition must be divided up carefully in order to ensure that everything is used to its fullest potential. There are situations where one player will need to come to the aid of another. For example, if one player goes below critical health, they may enter a state of near-death and thus, the other player will need to revive the other player. Enemies are very much similar to the ones in Resident Evil 4. Intelligent humans brought under the control of a parasite will use anything in their means to hinder the player’s progress. There are also a number of monsters that bear similarities to those in Resident Evil 4. 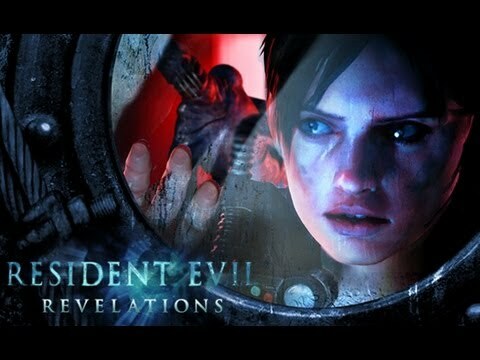 One interesting member of the Resident Evil spinoff series that is worth playing is Resident Evil Revelations. The story takes place between the events of Resident Evil 4 and Resident Evil 5. A year before Revelations takes place, the Federal Bioterrorism Commission had sent two agents named Parker Luciani and Jessica Sherawat to keep control over what was known as the floating city of Terragriagia. This is following an attack launched by II Veltro, a bioterrorist organisation. The organisation used genetically modified creatures against Terragriagia’s solar energy development. In the present, Chris Redfield, Jessica have gone missing, and thus, Jill Valentine and Parker are sent to search for them at their best known location which is a cruise ship called the Queen Zenobia which was located in the Mediterranean Sea. Jill and Parker are surprised by BOWs that have been infected by a virus known as the T-Abyss Virus, when they enter the ship. They then go into a room where they believe Chris is being held, but it turns out to be a trap. The game then switches perspectives to Chris and Jessica who are at the base of operations for Veltro, but are deployed to investigate the whereabouts of Jill and Parker at the Mediterranean. Additional BSAA agents, Quint Cetcham and Keith Lumley, are sent to Valkoinen Mokki for information gathering purposes. Resident Evil Revelations takes on the third person survival horror traits of Resident Evil 4 and 5. During the story, the player will go through a number of scenarios that are divided into episodes. 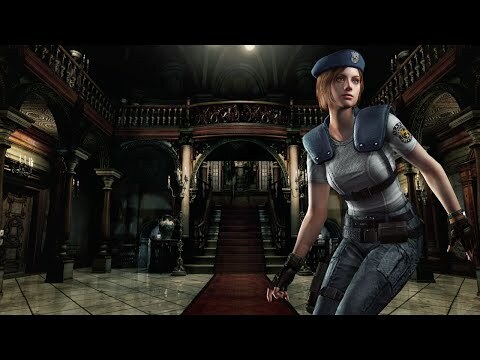 These mainly involve playing as Jill Valentine while she is on the ship in the Mediterranean, but the player will also take control of other characters. Resident Evil Revelations also offers an alternate mode called Raid Mode. This is a multiplayer mode where plays must go through altered version of the story’s scenarios. Players can choose from a selection of different characters for Raid Mode, with each character being unique in terms of having different abilities and melee attacks. Resident Evil takes the story and gameplay formula from Resident Evil 4 and Resident Evil 5 and creates something much bigger. This game stands out as being quite large and, in contrast to other games in the series, more of an action game than a horror game. The expansive story accounts for this game sheer size as the game has a singular plot, but since the story is told from four different perspectives, not only is the player getting a wide range of different viewpoints on the plot, there are also numerous different things happening that affect the overall story. Resident Evil 6 has three main story modes and a single unlockable story. Since the gameplay puts a focus on cooperating with another player, each story has two characters. 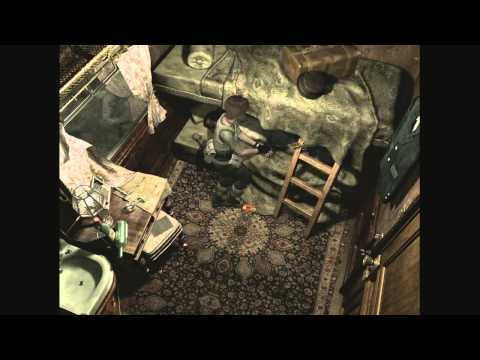 In the main campaigns players will take control of familiar characters like Leon and Chris while unfamiliar characters like Helena Harper, Piers Nivans and Jake Muller are introduced, along with certain familiar characters making a return, for example, Sherry Birkin who was a young girl from Resident Evil 2. Each character’s campaign has a different story, but each story contributes to the overall plot. Jake and Sherry’s campaign involves Jake fleeing from the authorities in Edonia while a terrorist attacks using BOWs is taking place. He is partnered with Sherry Birkin, who is now an agent for the Division of Security Operations and is tasked with getting Jake out of Edonia so that his blood can be tested for Antibodies for the newly created C-Virus. This is important as Jake is the son of Albert Wesker, the main antagonist of the overall series. 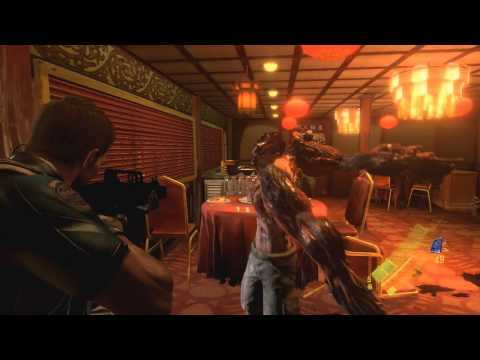 While Jake and Sherry’s storyline is taking place, Chris’s team, which includes Piers Nivans, fight against a number of rebels who have been infected by the C-Virus. This fight is disrupted by someone who refers to themselves as Ada Wong and is a leader of what is called Neo-Umbrella, as they use a device that injects many of the BSAA members with the C-Virus. Chris and Piers escape unscathed, but Chris is damaged emotionally. Finally, there is Leon and Helena’s story which starts off with the U.S President’s announcement of the truth behind the Raccoon City incident. However, this is put to a stop as a bio-terrorist attack takes place and the president mutates, forcing Leon to kill him. Helena then discloses information regarding the events, stating that National Security Advisor Derek C. Simmons blackmailed her into participating in the U.S President being assassinated, along with stating that Simmons is associated with Neo-Umbrella. As a result, both parties must pursue Simmons. 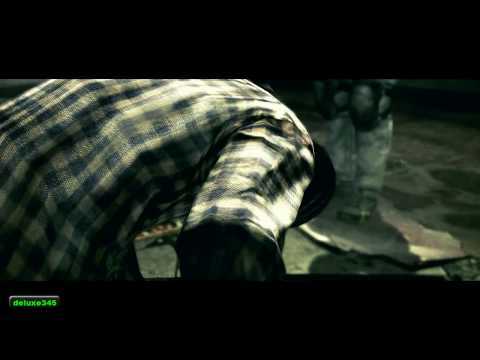 The gameplay in Resident Evil 6 is very similar to that of Resident Evil 5 with Resident Evil 4’s over-the-shoulder gameplay being implemented into co-op. However, the grid system that the previous two games used has been replaced by an easier to navigate menu for weapons, items and key items. Inventory space is no longer an issue in the game as there is no longer limited space for inventory. The player can move while aiming to fire at enemies and there is much more manoeuvrability in the game with the player being capable of doing slides and having a range of melee attacks. However, this addition comes at a price as the game uses a stamina system. This means that melee attacks become ineffective as the player runs out of stamina through running and using melee attacks. One of the most interesting changes is the introduction of a possible 4 player co-op mode. This only occurs during specific moments where characters from the different campaigns encounter one-another. If a player is already in a multiplayer game, they are given the option to join the other two players who are taking control of the other characters, thus allowing for four players to go through the section where the campaigns intersect. It should be noted that the game has become much faster paced in comparison to the previous resident evil games. This change in pace differs depending on which campaign the player is going through, but overall, this game seems to take a lot more inspiration from Resident Evil, Operation Raccoon City, an action shooter that was an alternate version of Resident Evil 2. Chris and Piers’ campaign is filled with the most action with fast paced gunfights appearing quite frequently, while Leon and Helena’s’ campaign focuses more on horror as there is a greater focus on zombies and monsters. These Resident Evil games are certainly worth playing while you wait for Resident Evil 7. Whether you want to experience the zombie horror in the enclosed mansion in Resident Evil HD remaster, or you want to plough through hordes of zombies and monsters in Resident Evil 6. The Resident Evil series offers a wide range of games that are worth playing for their story and gameplay.